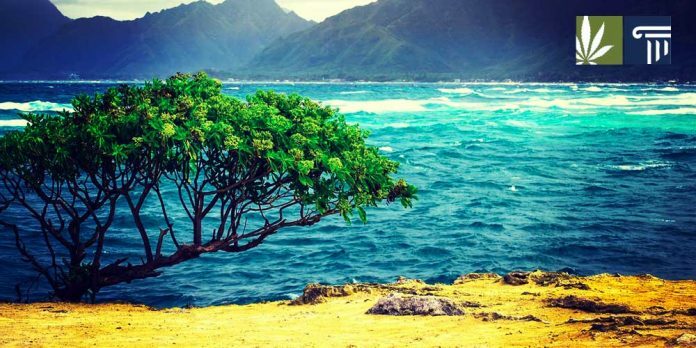 Home State News Hawaii Is Legal Marijuana In Hawaii Inevitable? Is Legal Marijuana In Hawaii Inevitable? Hawaii may be known for its Maui Wowie, but adult use remains illegal in the state. Its medical program began in 2000 by allowing qualified patients to grow up to seven plants, but dispensaries stocked with state-approved product began to appear only in 2017. Hawaii’s regional neighbors, however, have moved forward with adult use legalization. In the Commonwealth of the Northern Mariana Islands, a U.S. territory, an adult use legalization bill was signed in 2018. Alaska legalized in 2014, California in 2016, Oregon effectively in 2015, and Washington in 2012. In 2019, Hawaii seems poised to follow suit. As the state legislature convened in 2019, its Democratic leadership announced that adult use legalization would be a priority, along with raising the minimum wage to $15. Senate Majority Leader J. Kalani English said that the push for legalization has reached “a tipping point.” Lawmakers have pointed out that Hawaii’s geography has made legalization difficult, given the power of the federal government over the island state’s commerce. Given the party’s trifecta control of both houses of the legislature as well as the governor’s office, it seems likely that it will succeed, at least in some form, in delivering on those three promises in 2019. For example, an increase in the minimum wage to $15, together with adult-use legislation that sets aside tax revenue for education could address all three issues. Hawaii is not the only state whose Democratic leaders have voiced support for recreational legalization in 2019. In Connecticut, Ned Lamont won the governor’s office after saying that legalization is “an idea whose time has come,” and a Republican house member who opposes legalization has conceded that a bill seems likely to reach Lamont’s desk. In Illinois, J.B. Pritzker won the governor’s office on a legalization platform, and his party controls the legislature. Tim Walz won on a pro-legalization platform in Minnesota, as did Michelle Lujan Grisham in New Mexico, but their legislatures may not provide them with bills to sign. Finally, legalization seems likely in New Jersey and New York as well. A bill is currently being readied in New Jersey, for example. It may be a surprise to some to learn that Hawaii does not already have legalized adult use, but in 2019, the state, along with a few others, seems likely to legalize. What do you think? Will Hawaii legalize adult use in 2019? Leave a comment below.